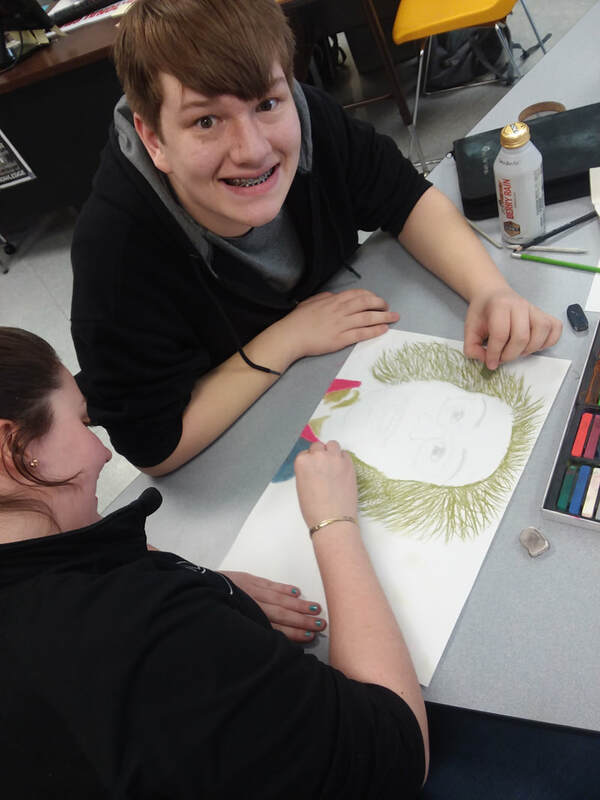 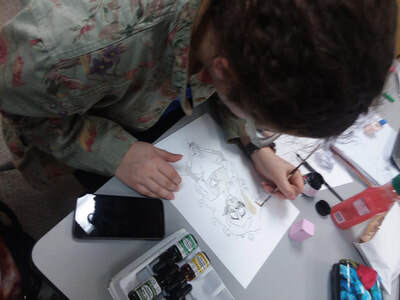 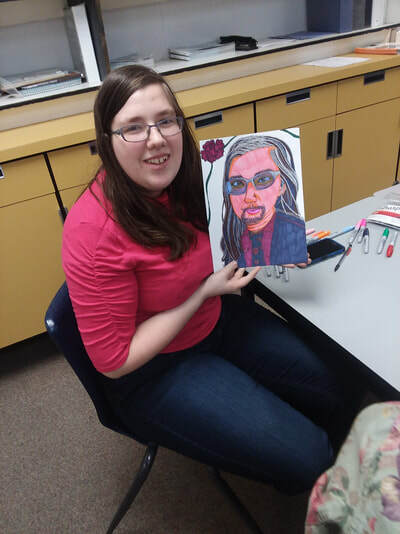 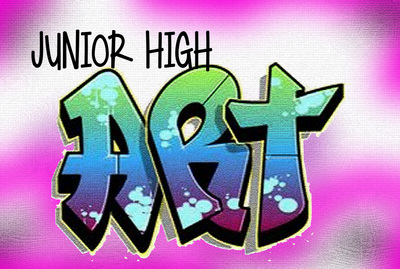 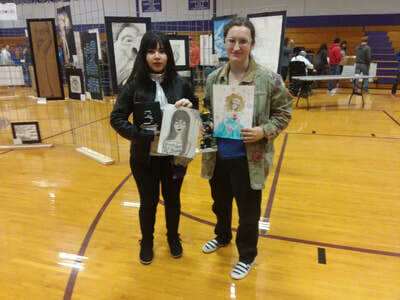 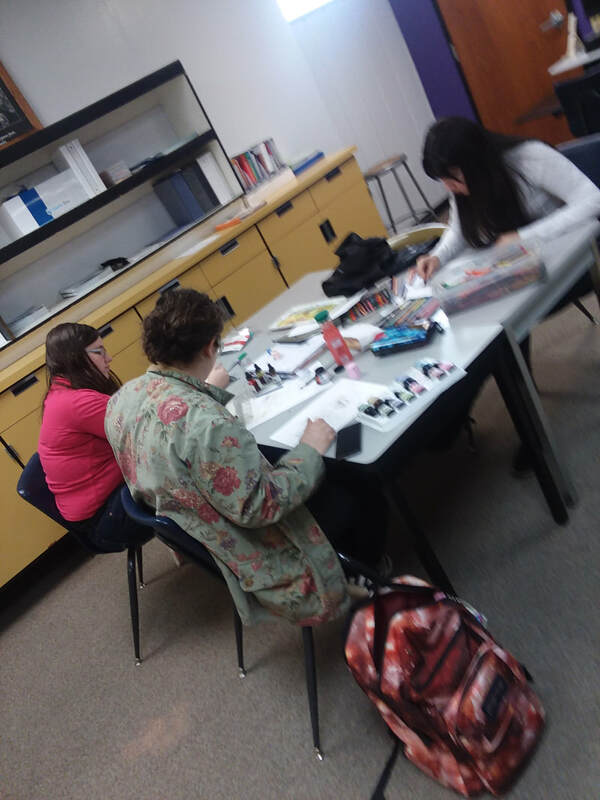 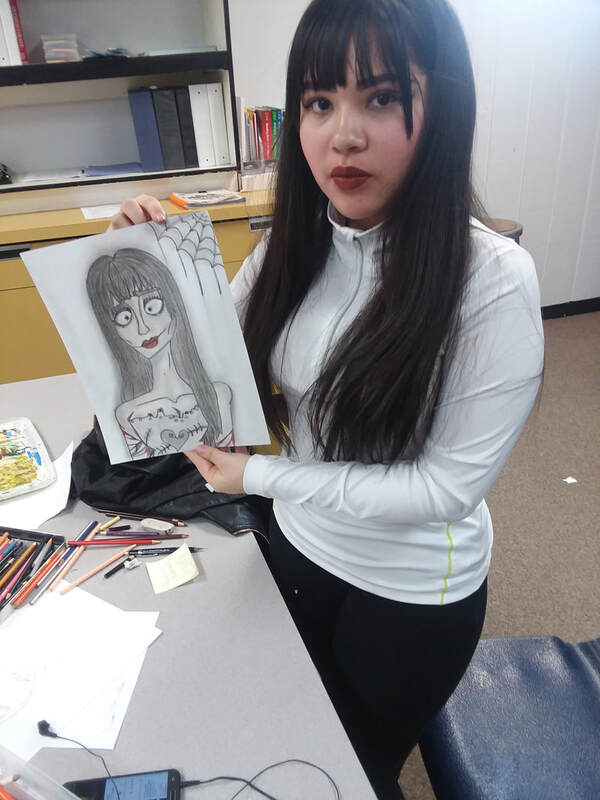 WCHS Art Students competed in the CCCC Art Day on Friday, April 13 in Concordia. 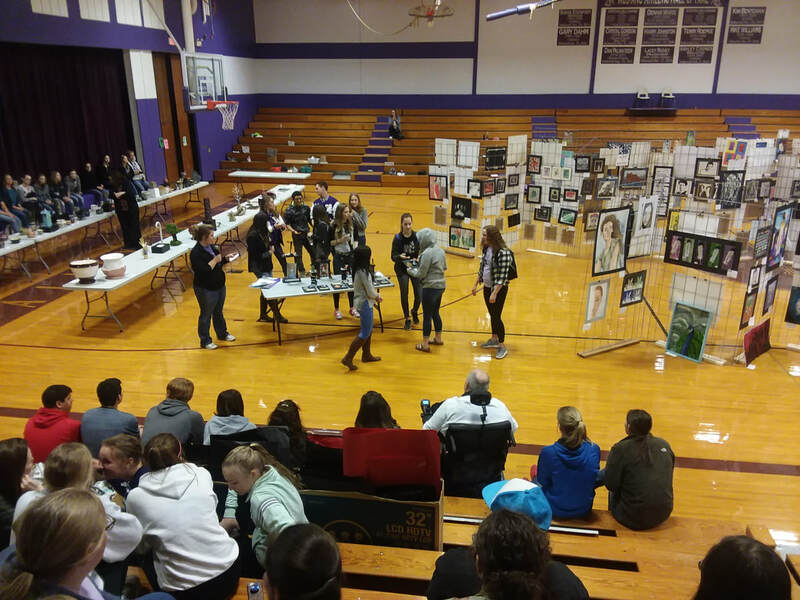 With over 18 schools and over 1000 pieces of art, it was a competitive show. 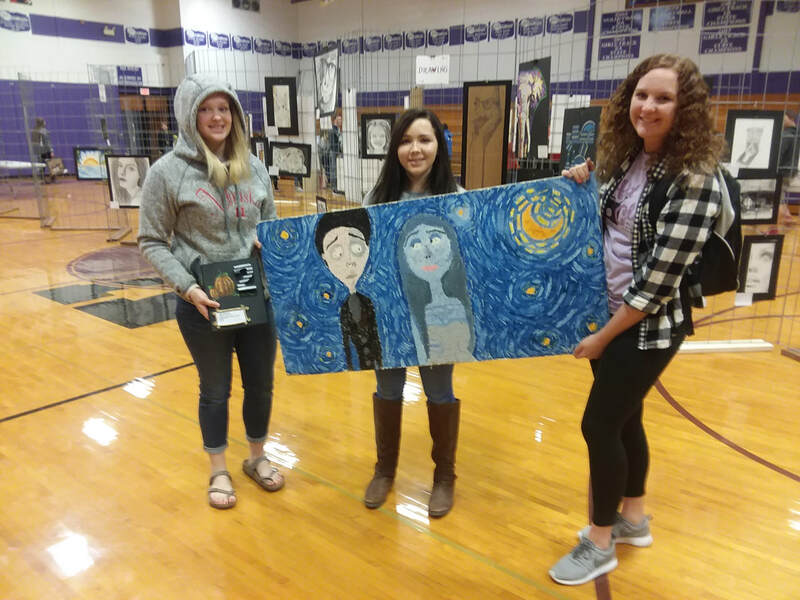 Trophies were given to top 3 in 12 categories and medals to 2 honorable mentions in each category. WCHS entered pieces in 6 categories. 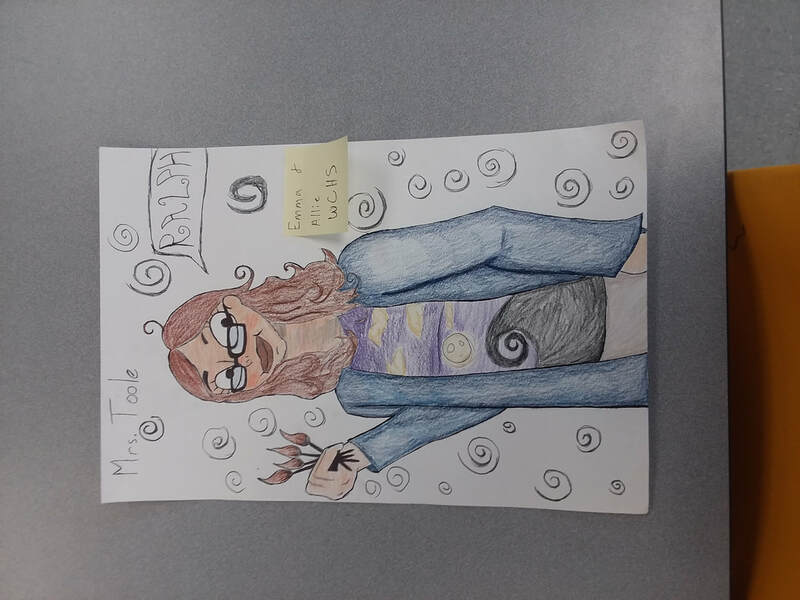 Hannah Portenier came home with 1st place in Drawing and an Honorable Mention in Graphic Design. 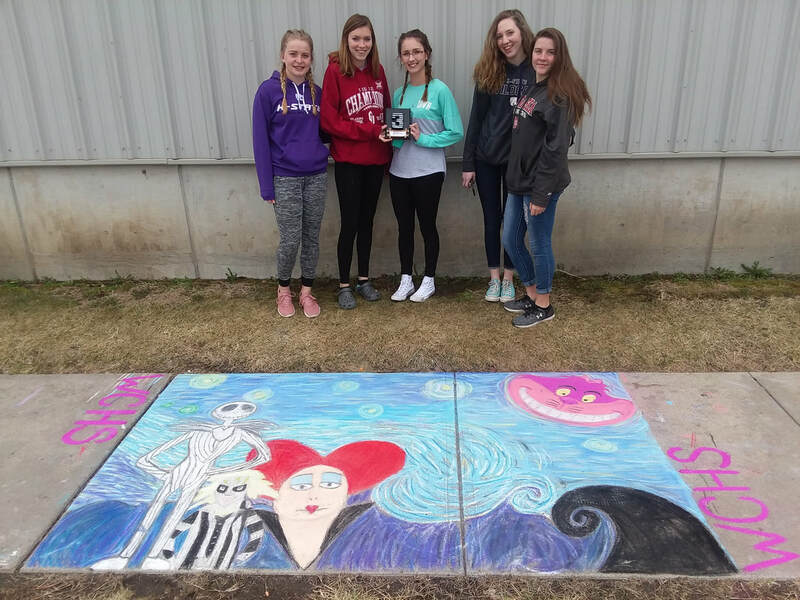 The team competed in the sidewalk chalk drawing on-site competition. "The students did a great job and their work looked great," said Art Instructor Erin Toole. 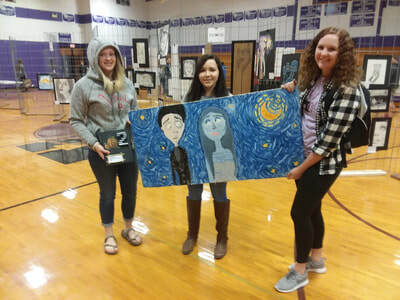 Attending this show were Seniors Hailee Bennett, Tess Cecrle, Taylor DeGlandon, Emily Meyer and Hannah Portenier and Junior Jasmine Greenwood. 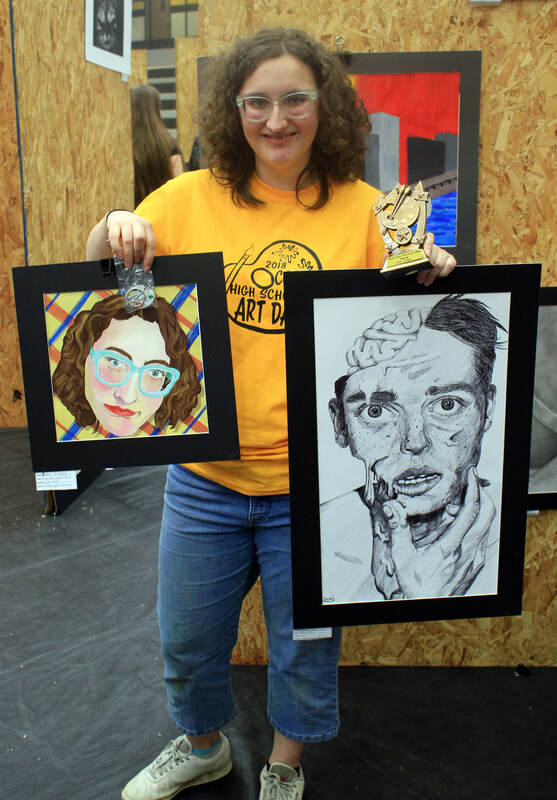 Left: Hannah Portenier with her Honorable Mention - graphic design Self Portrait and her 1st Place project in Drawing, "Melting Point." 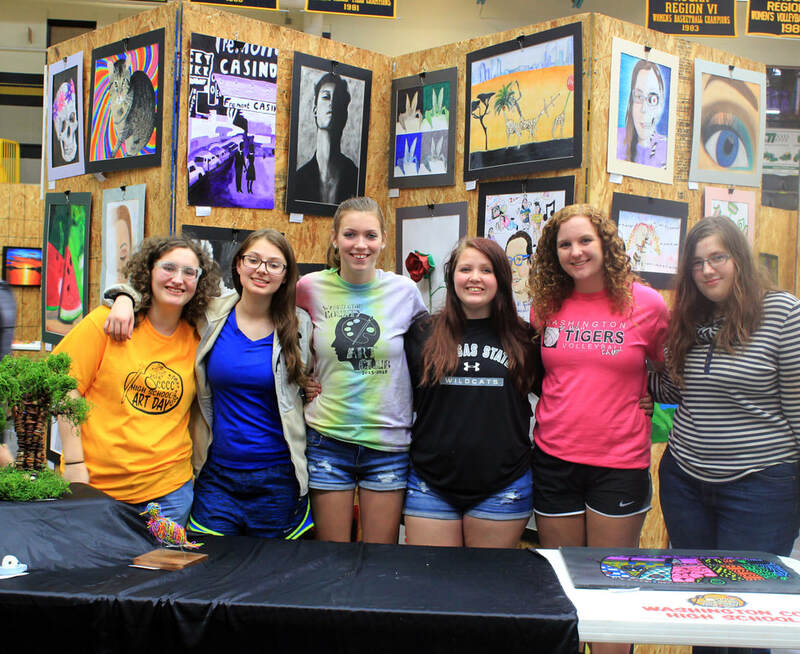 Above: Senior Hannah Portener, Taylor DeGlandon, Emily Meyer, Hailee Bennett, Tess Cecrle and Junior Jasmine Greenwood represented WCHS at the Art Show at Cloud County Community College. ​Washington County students competed at the Kansas Students in Technology Leadership Competition at the KState Student Union on Wednesday, April 4th. 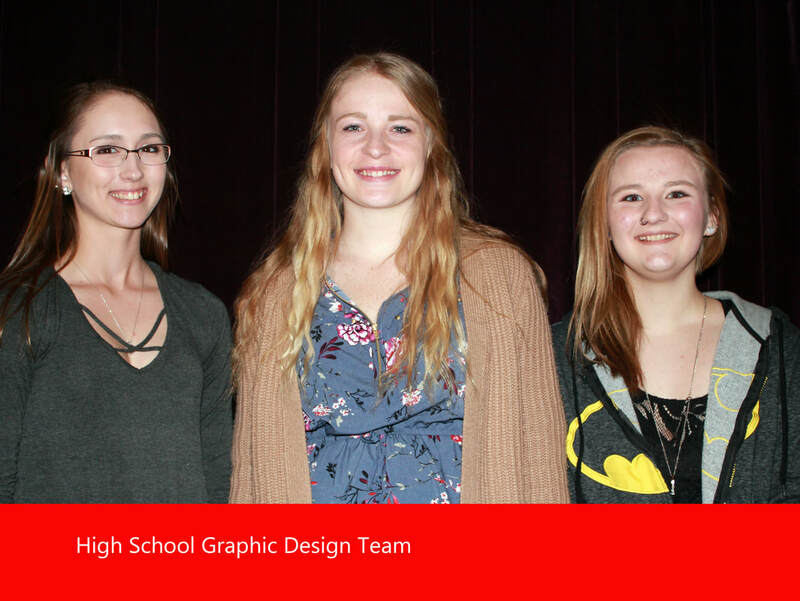 9 high school students and 12 seventh graders presented in the high school and middle school competitions in graphic design, interactive media presentation, and website design. 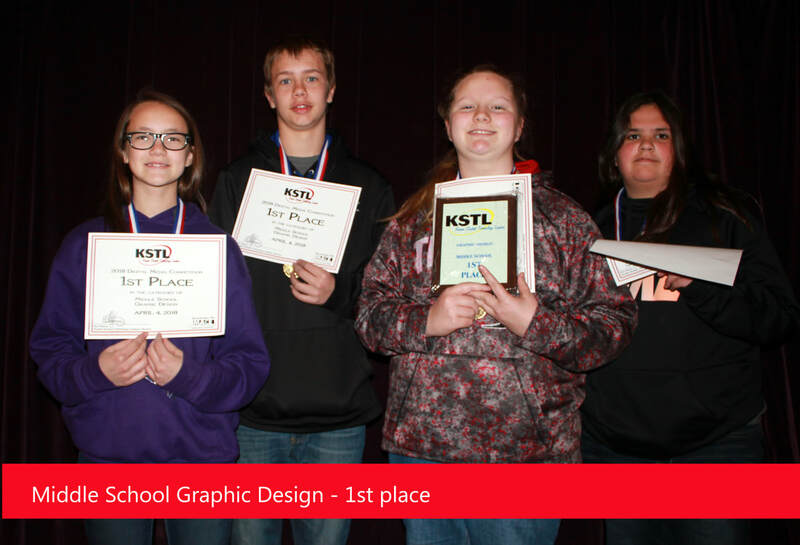 The 7th grade team of Alyssa Almenderaz, Abi Sawin, Kady Toole, and Trenton Zenger placed first in middle school graphic design. 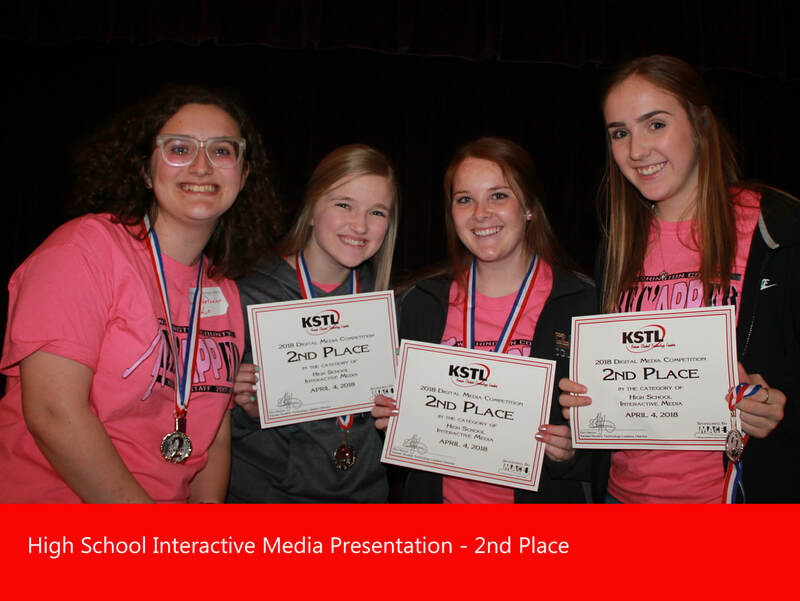 Placing 2nd in high school Interactive media were Junior Carly Crome and Seniors Holly Delay, Hannah Portenier and Lauren Wyatt. 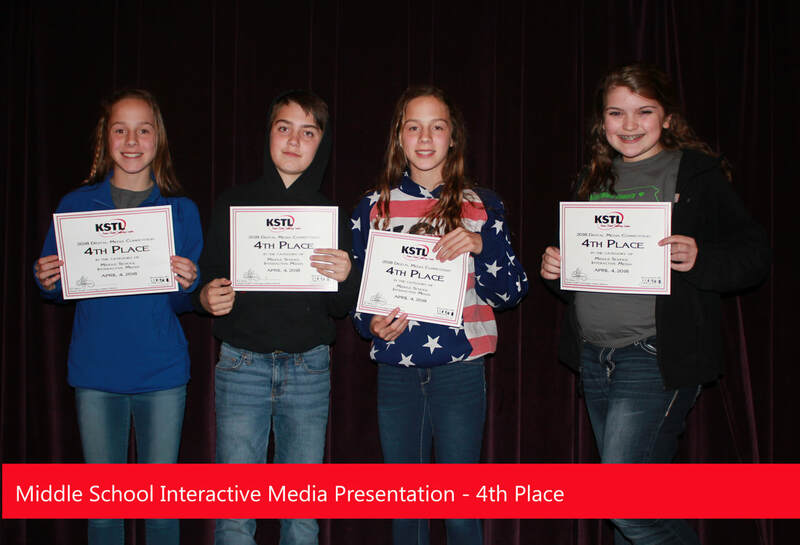 Placing 4th in the Middle School interactive media category were 7th graders Ali Boykin, Bri Boykin, Emma Fulton and Konner Gepner. 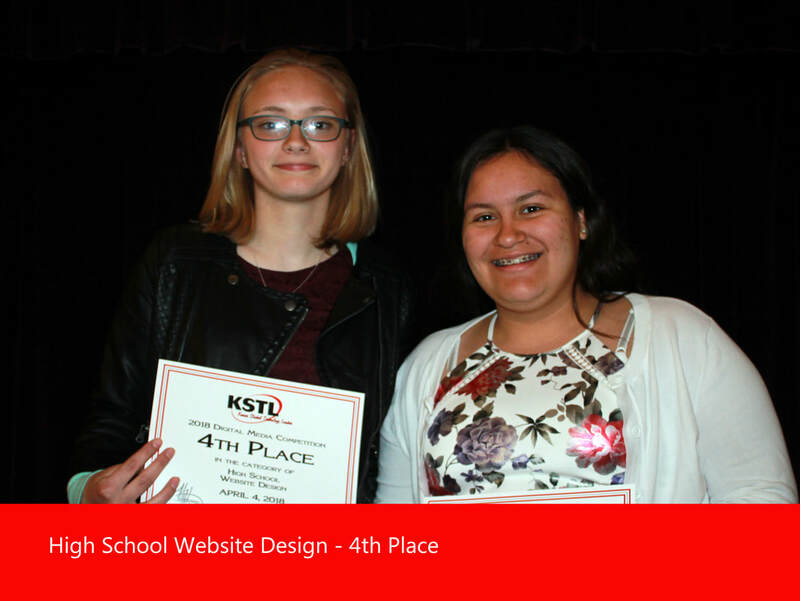 Placing 4th in High School website design were Sophomores Julisa Martinez and Jenae Romesier. 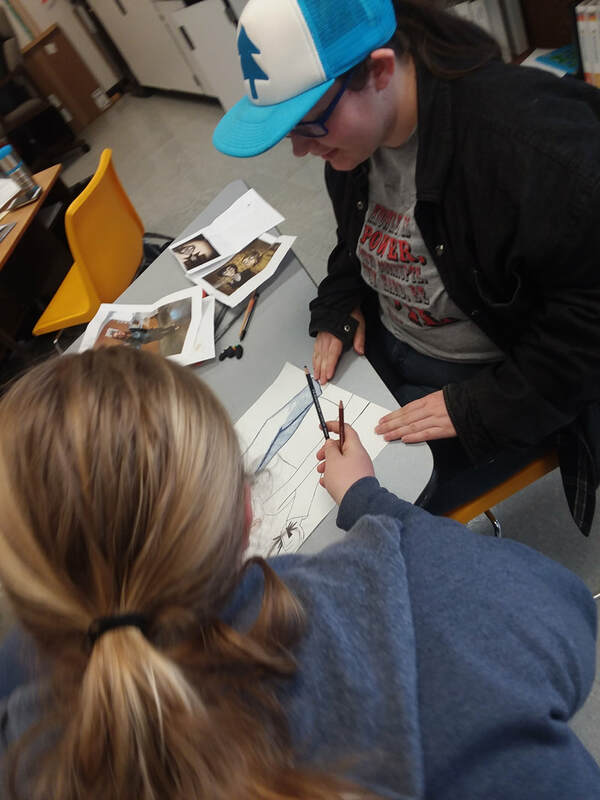 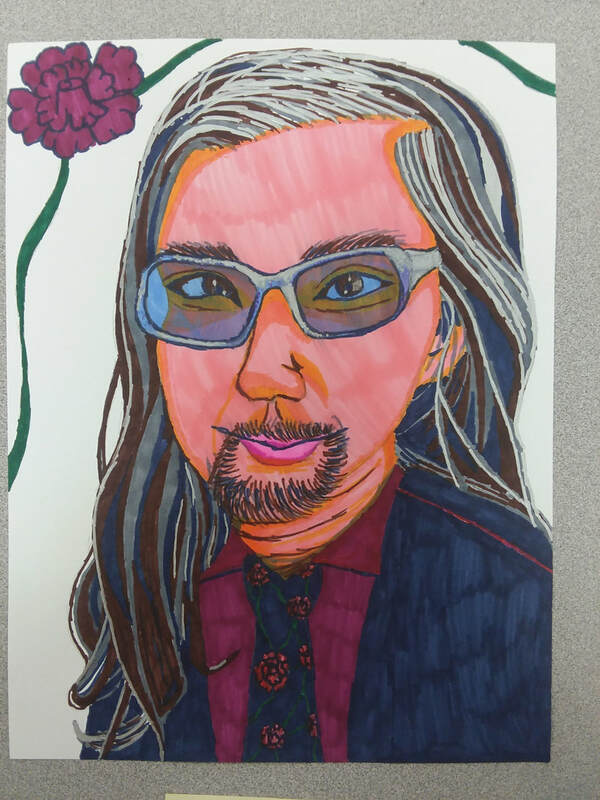 Art and Design Instructor Erin Toole said, “It was a great day for our students. 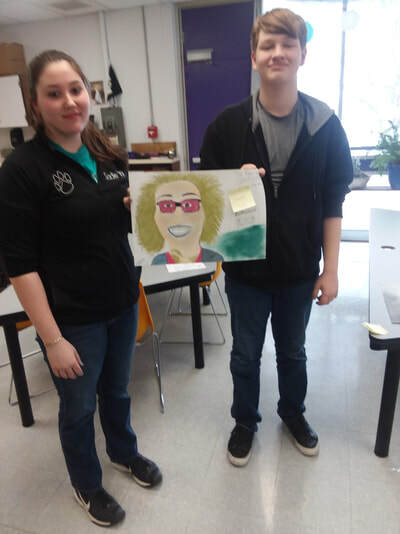 Everyone gave 100% effort and presented amazingly well. 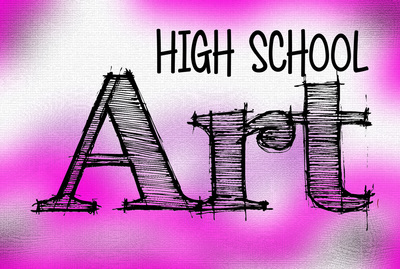 Just like any judged competition, you never know what will please or catch a judges eye. 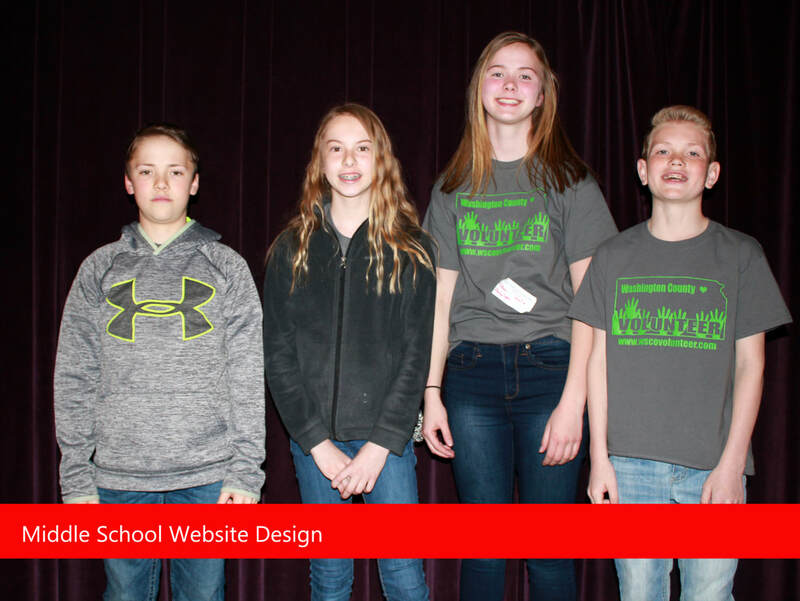 Some teams placed well and some didn’t but everyone did a great job!” All of the 7th grade teams created items relating to a website they created called www.wscovolunteer.weebly.com which has created a place listing places to volunteer in Washington County. 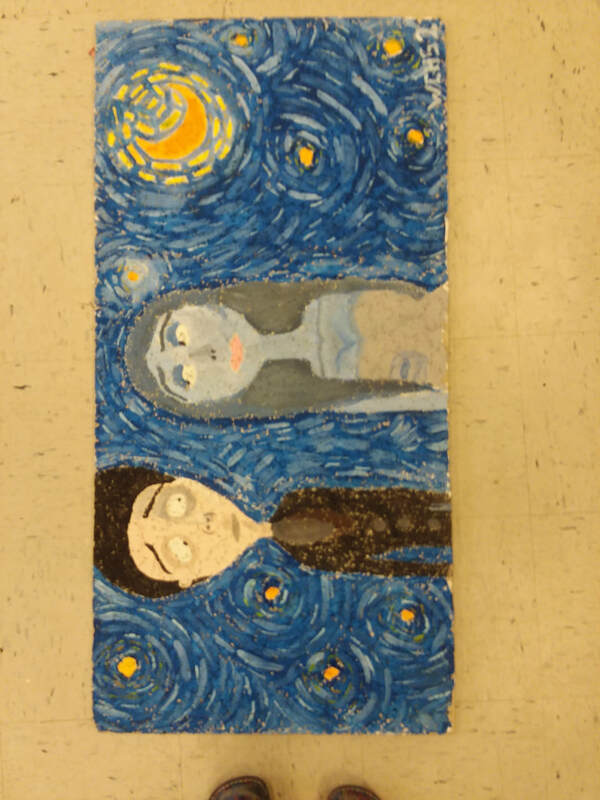 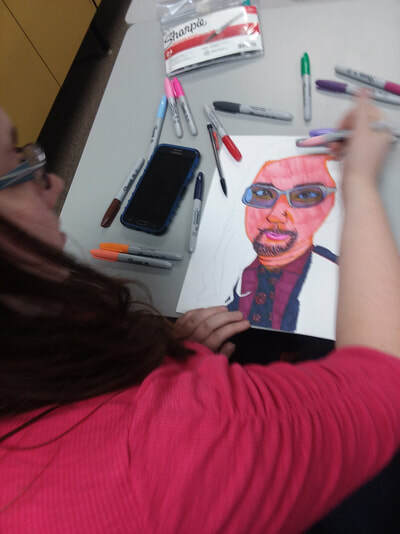 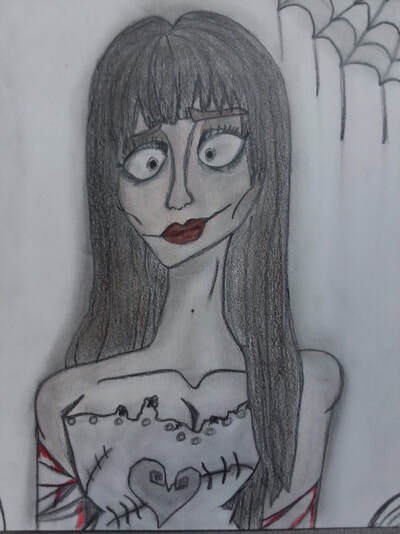 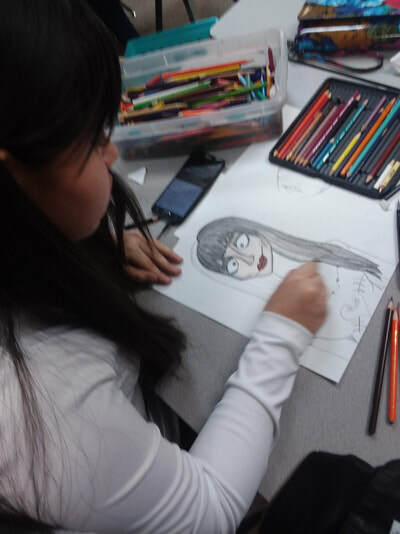 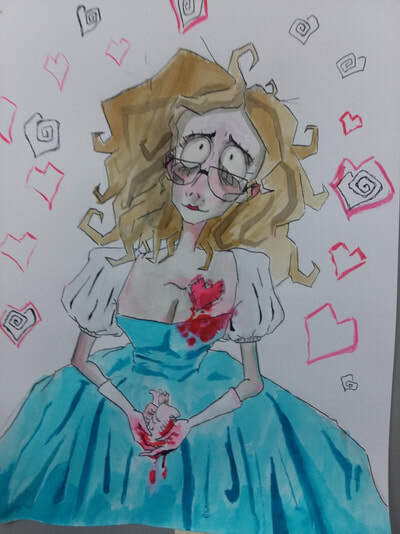 “Even though not all the 7th graders presented, they all had a part in this presentation as the worked on this project on and off all year in their art class,” said Toole. Students created a webpage, promotional items, recorded a presentation on the benefits of volunteering, and created a video promoting being a hero by volunteering as a part of this project. 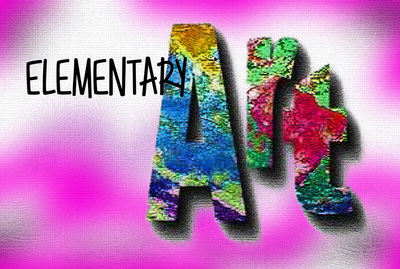 The high school website team created a site called www.craniocutie2.weebly.com for a client promoting craniosynostosis awareness. 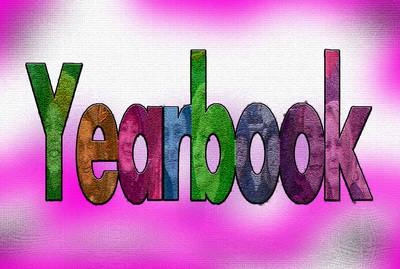 The interactive media team presented the yearbook theme, its promotional plan and book layout and page design. The graphic design team presented all of the promotional materials they made for the fall play at WCHS. 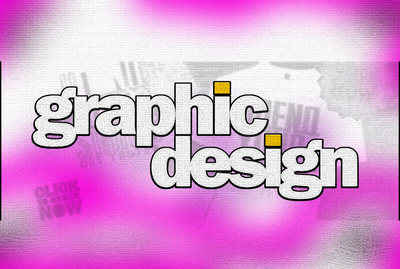 Each presentation could be no more than 7 minutes long and had to include original graphics created by the students. Senior Hannah Portenier, Junior Carl Crome and Seniors Lauren Wyatt and Holly Delay. 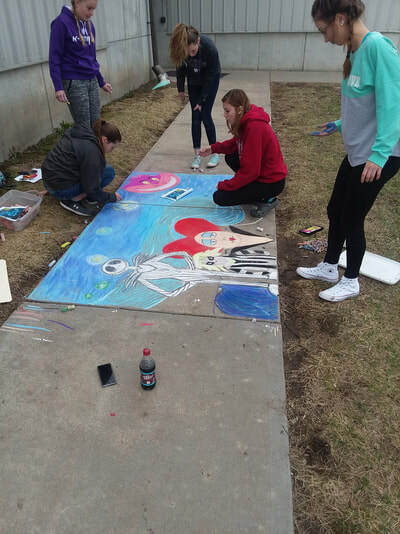 7th Graders Bri Boykin, Konner Gepner, Ali Boykin, and Emma Fulton. 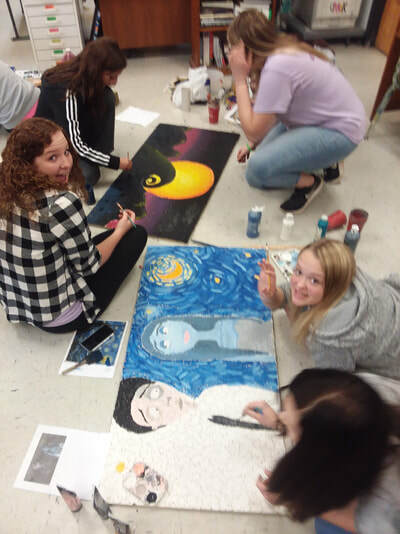 Do you know how important creativity is to your future? Receiving ribbons in the juried show were BLUE: Jasmine Greenwood, mixed media; Hailee Bennett, sculpture; Emma Portenier, ink. 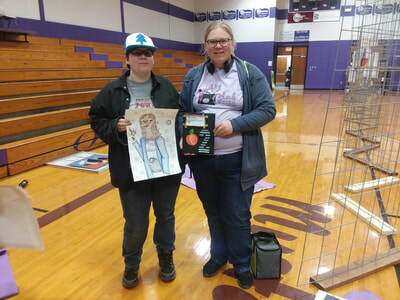 RED: Hannah Portenier, Computer Art; Hailee Bennett, sculpture. WHITE: Hannah Portenier, ink. 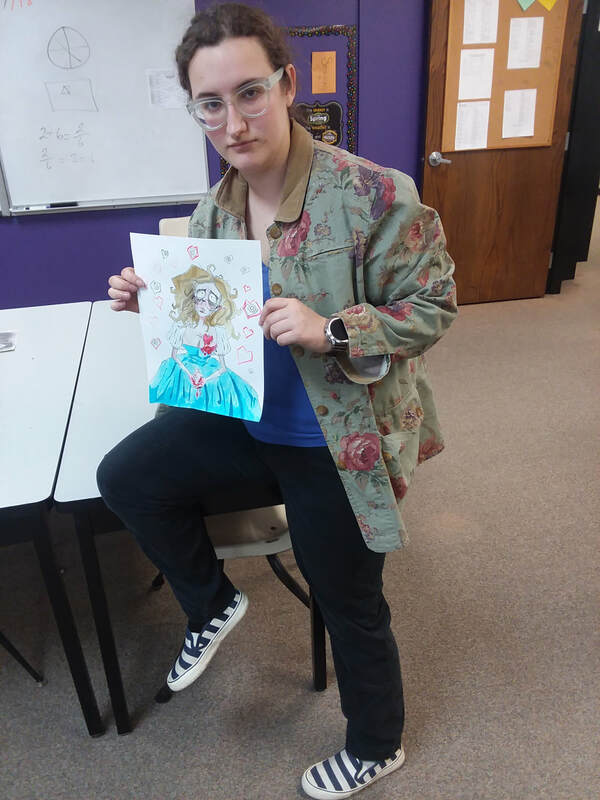 Tess Cecrle, mixed meda; and McKenzie Huband, mixed media.